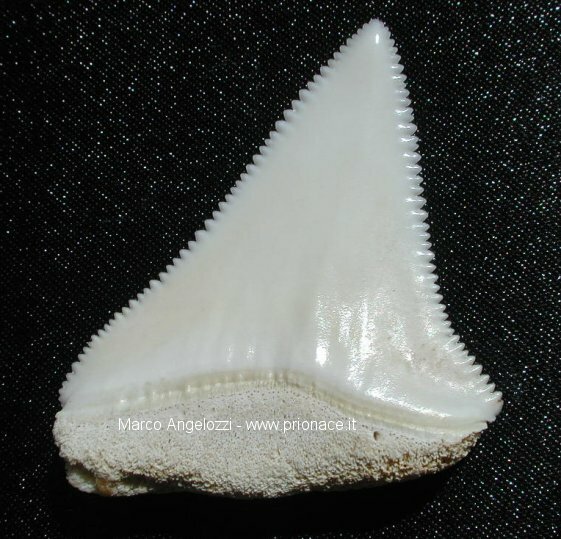 Tooth of white shark, Carcharodon carcharias (inside side). Unmistakable for its unique characteristics: great tooth, triangular, strongly serrated straight to the borders. The teeth of superior and inferior jaws are very similar.